We offer best Quartz Powder that is available in ivory white as well as multi-color form (when mixed with impurities). The crystal of our Quartz Powder has solid, liquid and gas enwrap. We produce Quartz Powder from two kinds of quartz: trigonal crystal low temperature quartz and hexad crystal high temperature quartz. 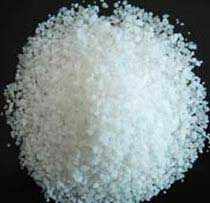 We are capable of delivering bulk quantities of Quartz Powder and that too at competitive rates.